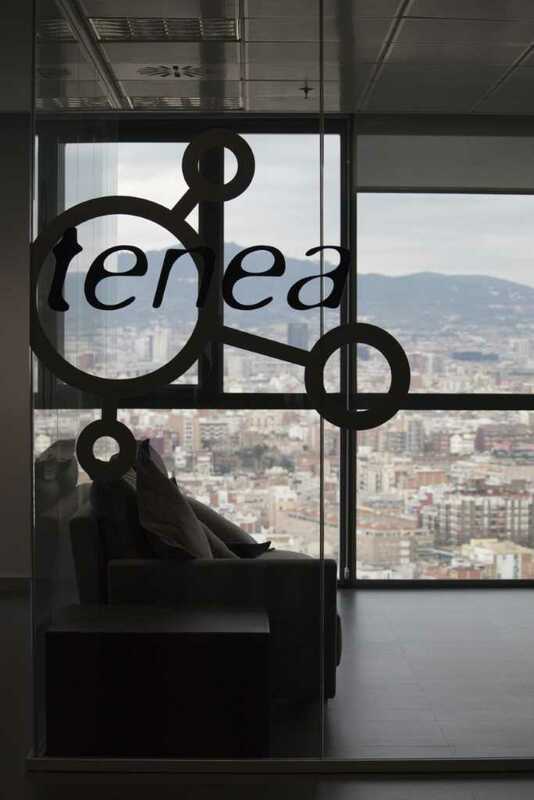 Office interior design for a large corporation in Barcelona with dozens of workers and with great views of the city. Sara Folch Interior Design is not only about home design or house refurbishment but also about working and thinking of new office interior design options. 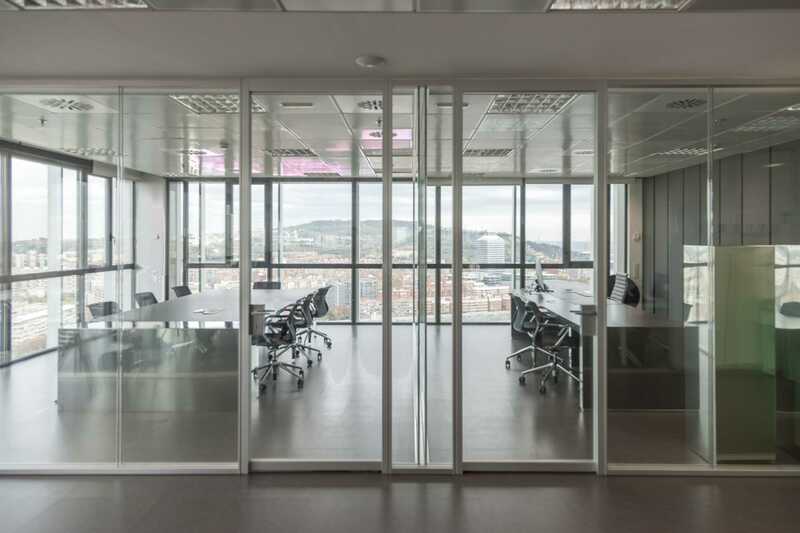 One of the newest works are these offices for a software company in the city of Barcelona. 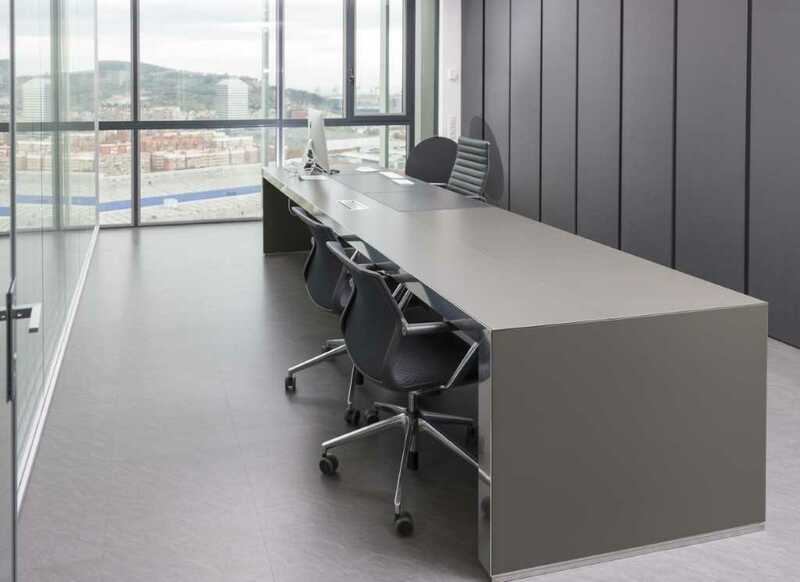 The challenge was to keep privacy around the offices but still having the feeling of being outside of the building as it is a completely 360 degrees view of the skyline of Barcelona. The interior design client wanted to keep the proximity with his employees but with privacy and different areas in mind. The first interior design element clients see when entering the office is a large waiting room in the middle of the office. The waiting room has been interior designed to allow privacy and comfort while waiting but also not disturbing the day-to-day work life of the software company. It is just divided with some large glass walls, separating the space in different areas. 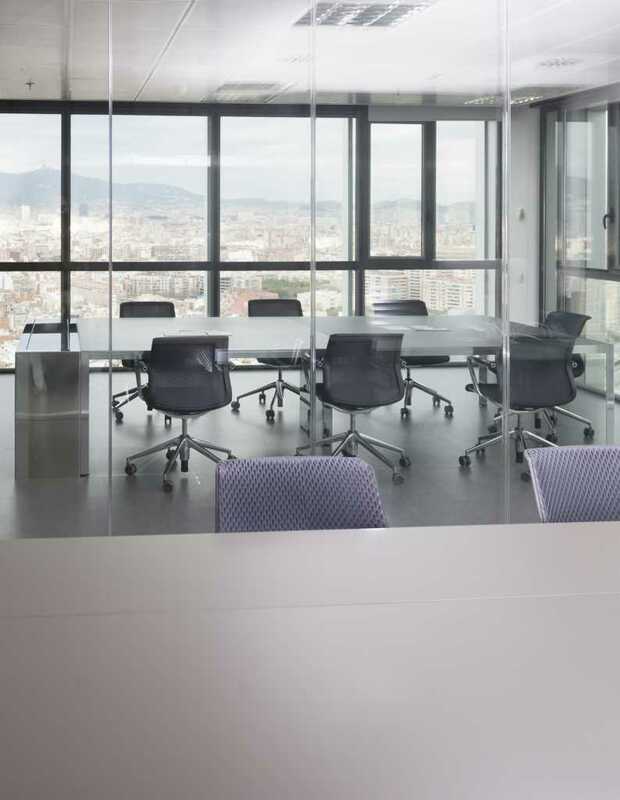 However, clients and guest of the software company will still be able to see the views from each part of the city without having to move around the office or disturbing workers as everything is separated using glass walls. Glass has also been used because it is a good noise reduction and keeps acoustics to a low level without annoying other members of the place. When doing interior design for offices, Sara Folch team of interior designers work really close keeping in mind the future of the interior design client’s company. 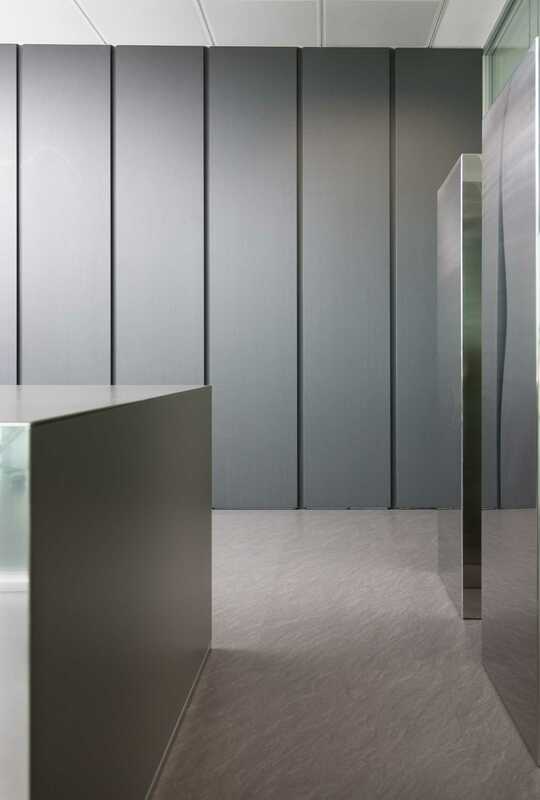 With more than 500 sqm, the main objective was to keep a moldable interior design office proposal. Not meaning about distribution, but having in mind future technologies. 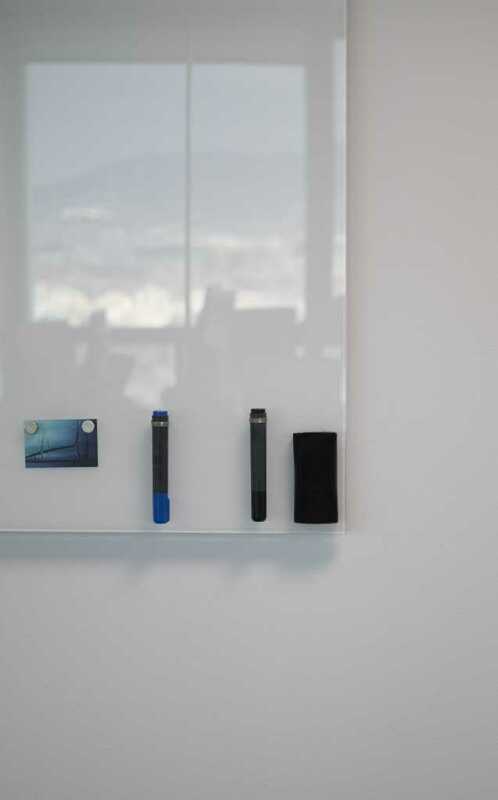 As the software company asked for, the office interior design is ready for new smart home appliances. 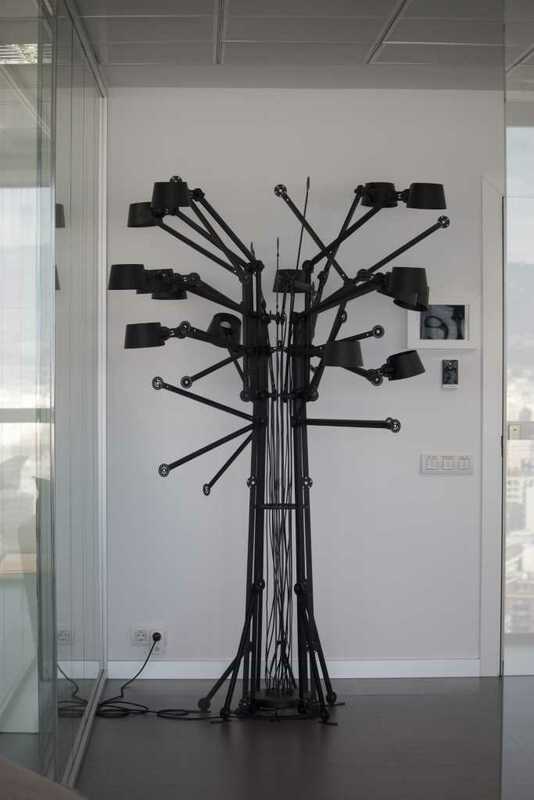 Currently, Sara Folch Interior Design worked on exclusive furniture to place around the office. The main colors are quite neutral allowing to get mixed with technology so they do not annoy when using the different hardware options around the office. However, the meeting room and the CEO office are totally different. The meeting room has another exclusive furniture design by Sara Folch Interior Design. We are talking about the large meeting table which also includes, at one of the ends, a television that rolls up and rolls down with a click on a mobile phone. The idea was to keep everything as simple and as clean as possible but still keeping the technological part of the company available. All these elements have been thoroughly studied by the interior design team before starting the works. At Sara Folch Interior Design one of the major things is keeping the interior design project based on the needs of the client. So, that is why the office is so wide and open but also have different areas, all separated using glass allowing much more light, keeping a great view and much more, a more open-to-the-exterior office. In case you are looking for an office interior designer you can contact us explaining your main interior design project ideas and the team will get in touch.